While reviewing this review, I was curious to see what the comments on the question were, as it said "show 6 more comments" with none currently showing. 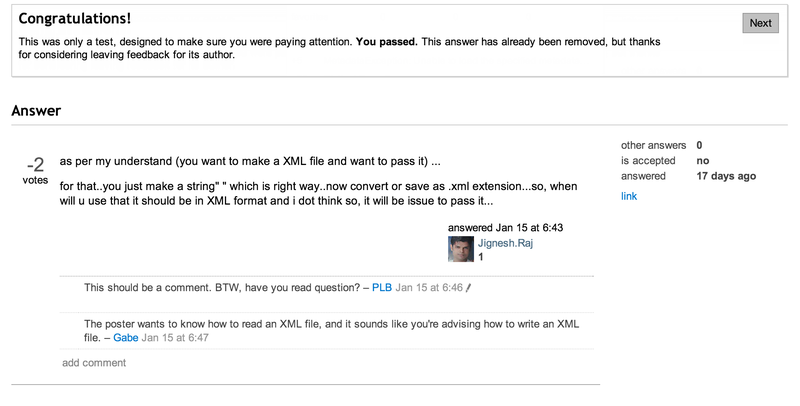 This answer has already been removed, but thanks for considering leaving feedback for its author. I clicked the comments-expando-link for the question. Not the answer. I'm willing to bet that this is status-bydesign. You expanded the comments. That means you were paying attention. Late post review audit: what's the big problem with this post?